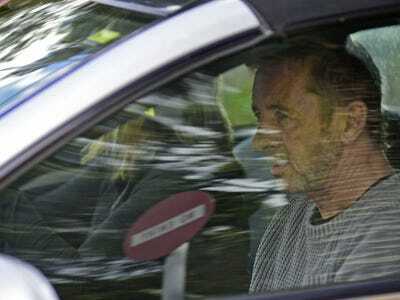 Associated PressPhil Rudd, the drummer for rock band AC/DC, leaves a court house in Tauranga, New Zealand, Thursday, Nov. 6, 2014, after being charged with attempting to procure murder. Phil Rudd, the drummer for legendary rock band AC/DC, is being charged in New Zealand with attempting to procure murder, according to the Associated Press. They say he made a short court appearance Thursday before being released on bail. He’s also been charged with threatening to kill and possession of methamphetamine and marijuana. He’s scheduled to make his next court appearance on November 27th. The publication “Stuff” in New Zealand reports that he allegedly tried to have two men killed, and that the judge suppressed the names of the men and the supposed hitman. AC/DC was inducted into the Rock ‘N Roll Hall Of Fame in 2003.